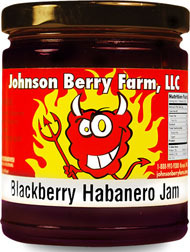 Sweet & HOT with a blackberry flavor, try this with cream cheese and a glass of red wine. 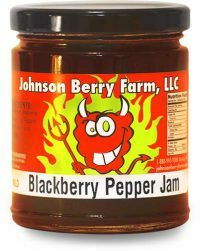 This starts out with a wonderful blackberry flavor and ends with a peppery afterburn. 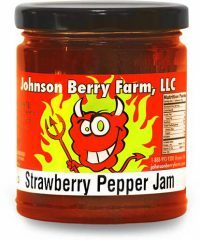 Wonderful as a glaze on beef or as a start to spicy salad dressings. 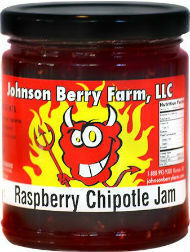 Almost totally seedless, this one is very popular. 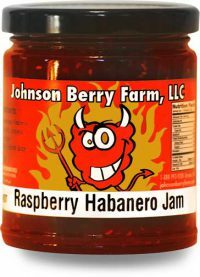 Level 2 heat is the MOST popular heat out of all our spicy jams.